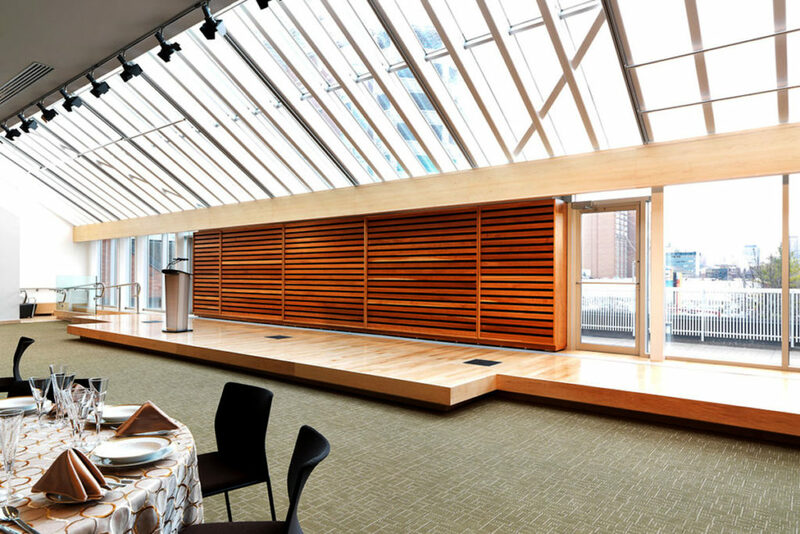 The main conference venue for DASSAN19 is the Bram & Bluma Appel Salon at the Toronto Reference Library. A cultural hotspot with a distinctive contemporary design, the venue includes three interconnected spaces: Epic Hall, Prologue, and Novella. 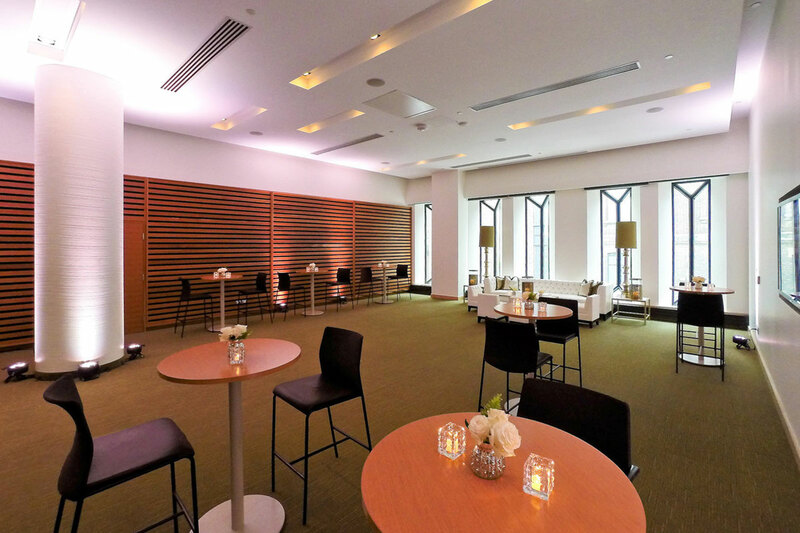 Epic Hall is the largest of the three Appel Salon rooms. It has an open floor plan with a built-in stage and features dramatic windows along the east and north side, a private outdoor terrace, exposed brick and contemporary wood panel walls. 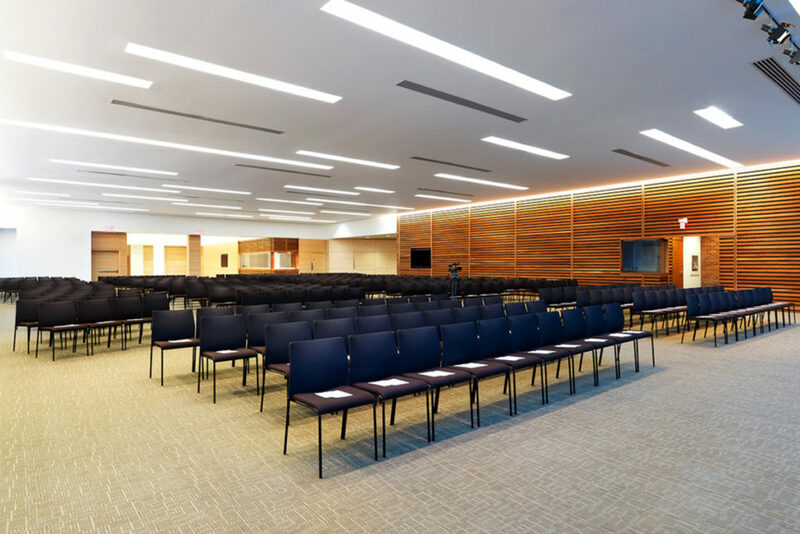 Plenary sessions, keynotes, and other larger group activities will take place in Epic Hall. Capacity 450 people. Prologue is a bright, airy space with prominent picturesque windows along the east side overlooking a private outdoor terrace. 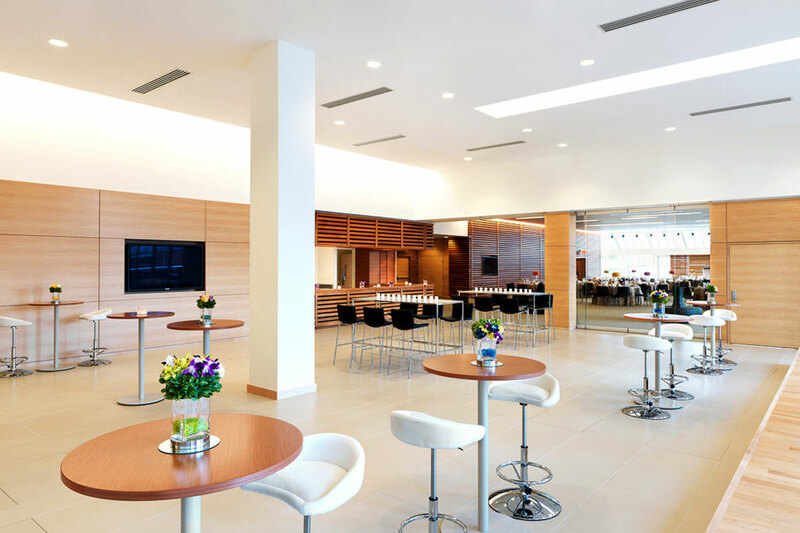 Prologue has high ceilings with skylights, a raised dais and a built-in bar. Casual receptions and an industry marketplace will be hosted in Prologue. Capacity 250 people. Novella is the smallest of the three Appel Salon rooms and is accented with unique windows, contemporary wood paneling and a built-in glass case for displays of Toronto Public Library Special Collections. Break-out sessions and smaller group workshops will take place in Novella. Capacity 118 people.